What is a Pole Chemist? I gave myself the name Pole Chemist! When I was in grade school I always enjoyed doing science projects for school. I was always that kid outside after it rained, lifting up rocks to see if any earth worms or strange creatures were under the rocks. When I wasn’t able to go outside. I would go into my grandmother’s room and began doing my own science experiments. I would mix lotion, body powder and rubbing alcohol and wait for it to explode like a volcanic. Sadly I didn’t realize this was not going to happen. My grandmother would catch me in the act…She would yell,” Mica you are going to be crackhead one day if you keep stiffing those products.” My grandmother would be so mad that I had made a mess of her dresser and ruined her products! Fast-forward—When I was in college, I decided I wanted to go natural. I no longer wanted to relax my hair. Relaxers make African Americans hair straight. Relaxer is used to breakdown our natural curl hair texture and makes our hair straight! It contains the harmful chemical formaldehyde!! Formaldehyde is a very dangerous. It is the chemical responsible for changing the texture in hair. The side effects of Formaldehyde are temporary breathing problems, rashes, and radical changes in hair texture, alopecia, and extreme damage to hair after long-term usage and cancer. In some studies, it has been linked to the development of Fibroids. I didn’t want to kill myself just to have straight hair so I began making my own natural hair products. I began to research different properties of natural butters such as Shea butter, cocoa butter and Almond Butter. I would check to see which natural carrier oils are the best to use for your hair and body. On Sundays, I traveled to Whole Foods to pick up all the products I needed to make my hair products! After picking up all of my products I would go in the house to begin prepping my products! First, I would take a jar of mayonnaise out of the frigid to use as a natural deep conditioner for my hair. I let the mayonnaise sit in my hair for 30mins. The mayonnaise helps to make your hair manageable and moisturized the hair. If you would like to try this make sure you purchase plain Mayonnaise not the Salad Dressing! “My friends called me weird for doing this, but guess who’s hair was healthier!!! After 30mins wash the mayonnaise out! Wash hair as you would usually I would use products that are Sulfate Free! After washing my hair I would always style my hair while it was wet. It’s super easy! First, pick a natural hair butter; I prefer “Shea Butter”. Second choose a carrier oil ;I prefer “grapeseed oil”. Third choose humectants; I prefer “vegetable glycerin”. I mixed these three products to formulate my styling cream. Shea butter is great for your skin & body. Shea Butter properties treats dry skin, treats diaper rash and treats sunburn. Grapeseed oil is rich in vitamins, minerals, linoleic acid and other essential fatty acids. Vegetable Glycerin is humectants. Humectants absorb water. Softens the hair. Aids in preventing breakage! Provides protection against thermal styling. I continue to use this formula every time I would style and wash my hair! After college, I decided to start my own product line. A friend gave me the opportunity of working inside of a natural hair salon as a shampoo assistant. I used this opportunity to watch how certain hair products worked on different hair textures. After doing this research, I began experimenting a home. One day, I made a product that you can use for your hair and body! I applied the product to my hair and skin! 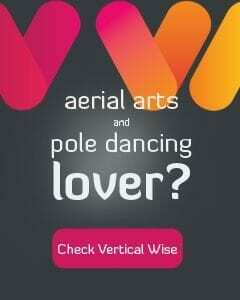 Later that day, I went to pole class. 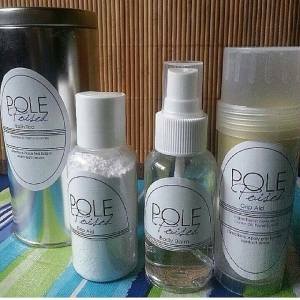 After pole class I realized I had used the product that I made for my hair & body and it didn’t make me slip off the pole! After realizing I had made an alternative lotion for pole artist I began having my friends try out my product! My friends enjoyed the product. I was so excited! I decided to experiment with trying to make my own grip! The grip I had made worked out perfectly. The base of the grip that I made was beeswax. I found other raw materials that would break down the beeswax and make it easier for a pole artist to apply the grip to main contact areas!! The grip worked like magic. I had a few friends try the product. After having a good amount of responses, I launched Pole Poised. I began making several other products such as bath tea and handgrip aids. As of today, I continue to perform research to discover different ways to make my products bigger and better. How to choose the right pole grip? Many people do not know how to choose the right pole grip. Certain pole grips are for certain body types. Some people sweat more than others. Others sweat very little! Powder products are great for those who sweat a lot. Our body release sweat to help cool the body down so the body will not over heat! If the body over heats we may pass out and have other health issues. The powder helps to absorb the sweat that our body releases this makes it easier for your body to stick to the pole without slipping. Beeswax products are great for those who do not sweat a lot. Beeswax will not cause a problem or clog the pores. Beeswax has a host of positive attributes it’s a general healing product and a emollient to cosmetic products! It works as a great tack for the skin to help you stick to the pole! To learn more about my products check out my social media pages! I think it is excellent that you created a pole group product with people’s body chemistry in mind. I cannot wait to try out your product line. That is great information about readers abd what the chemicals do to the body. I use relaxers but only one every 6 months. I plan to go natural soon though because those chemicals are nothing but trouble. Great article! I meant to say pole grip product and that I only use a relaxer only once every six month. Auto correct strikes again lol!